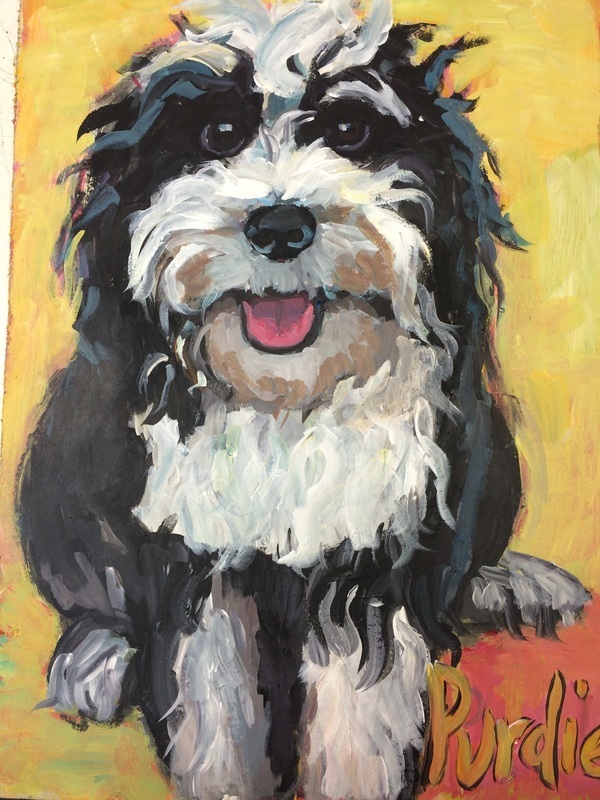 Pet Portraits with Personality, in a Painting OR a Mosaic. Having a pet portrait created by Pip is something that you will always treasure not only as an original piece of art, but as a permanant reminder of a much loved family member that you have shared a good part of your life with and who has provided much joy and love. The pets name can also be incorporated into the mosaic. This is such a special gift to give to yourself or someone that has had a long and close relationship with their pet. The portrait is created as a ready to hang piece of art. The versatility and durability of mosaics allow it to be suitable to be displayed outdoors as a garden feature, if you choose. The first step to have a pet portrait commission done is to provide Pip with a selection of your best images to pip@pipedwards.com. Take photos on the same level as your pet, either elevate them or get down to their level. Ensure that the subject is looking directly at the lens. Talk to them whilst you are taking the photos to keep them engaged, and use treats as they usually get bored very quickly or don't like having their photos taken. Take images that are representative in gesture or attitude.
" Hi Pip, thanks so much for your work of Harry. My parents were over the moon and really happy at receiving such a personalised present, and we can't believe how much it really looks like him"
"Hi Pip, just to let you know that my sister Minnie just loved your masterpiece. I can't thank you enough. She was truely overwhelmed and could not believe how it looked so much like her beautiful Dylan. Thanks so much." Deb Mehegan. Order your Pet Portrait now! Leave me your name and email and I'll get in contact to talk to you about your pet! If you'd like a phone call, please leave your number or any other questions you may have in the questions field.